Thursday there are two public hearings for the $12.9 Billion Hudson Tunnel Project up in Union City at 3:00 and 6:00 pm. The purpose of the hearing is to collect comments to the Draft Environmental Income Statement which is a large document that assesses the project's impact on the surrounding environments. Why you should consider attending: (a) if you are concerned about the impact of the project – whether vibrations / noise / dust created during construction/traffic or (b) if you want to see the project provide transit connection points in Hoboken / Weehawken (it currently does not). The HTP is to build a new tunnel under the Hudson River that effectively preserves the functionality of Amtrak’s North East Corridor and NJ Transit’s Commuter service from NJ into Penn Station. 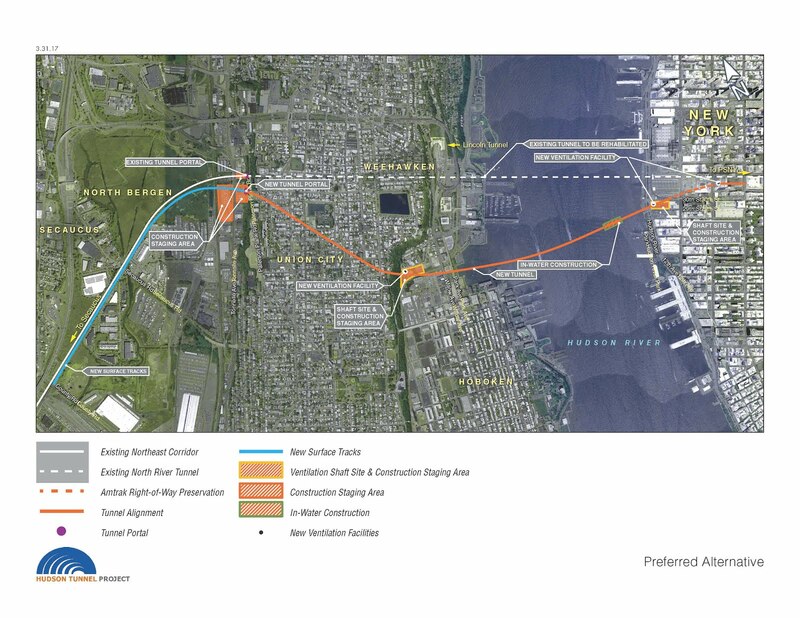 See the attachment illustrating the alignment/path of the new tunnel which will go under Weehawken cove, through the north end of Hoboken on the far side of the light rail tracks, and ultimately connect with Amtrak / NJ Transit tracks in Secaucus. It will provide an alternative while the existing tunnels are repaired (from Sandy Damage) and made more resilient. But permanently will provide additional train capacity. The biggest impact on the project will be to the area known as the Shades in Weehawken which is the residential area at the base of the palisades, just west of the Willow St. Bridge. The HTP as currently proposed includes building a large Air Shaft for the tunnels adjacent to this residential area. The construction is expected to take several years involving removal of contaminated soils and mobilization and use of heavy equipment. One of the potential impacts to select Hoboken residents will be to any of the buildings along Weehawken cove – although I am told that any risk is remote, but that each of these buildings will be surveyed and monitored in advance and throughout the construction. Additionally, anyone traveling in and out of Hoboken on the north end will feel the potential impacts of this large scale development and its staging. I attended a special meeting hosted by Weehawken Mayor Turner for his residents a week or so ago and overwhelmingly, the ask from its residents was for the air shaft to be moved to the other side of the palisades in North Bergen / Secaucus where there is no existing residential development. Mayor Turner is advocating for this as well. 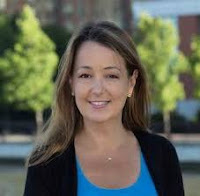 The biggest impact though to our Hoboken community, I believe, is the missed opportunity to make transit connections that would allow more Hudson county commuters more options to get in and out of NYC. If they are going to build an Air Shaft, then why not make it a functioning transit stop. Or why not connect with the light rail to provide direct access into midtown. The proverbial and pun intended “train has left the station” with this project in that the alignment has been selected. But it is still in early stages and this is when your input matters most. If interested, please attend to voice your comments or submit them on the website (http://www.hudsontunnelproject.com/contact.html ) or via email comment@hudsontunnelproject.com. I plan to attend on Thursday for the 6pm hearing. Also, please feel free to email me if you have any further questions.